With controlled shading solutions, you can easily raise the shades to add sunlight or lower them to reduce heat buildup and have instant privacy. 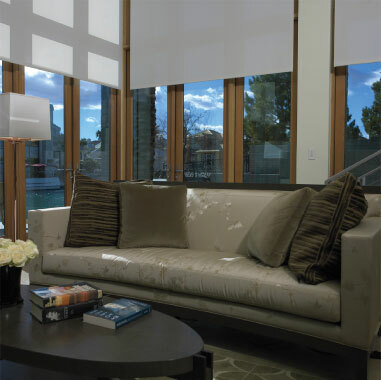 Shades can be pre-set to automatically open and close during a specific time of year, effectively controlling sunlight to prevent harsh U/V rays from damaging expensive furnishings. 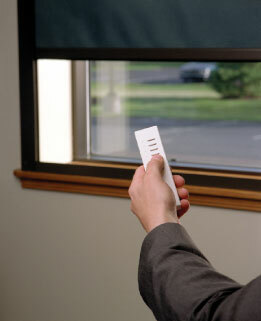 If you prefer to operate the shades yourself, you can simply push a button to adjust the shades whenever you want. Either way, you'll be able to achieve the greatest beauty and efficiency in each room at all times.